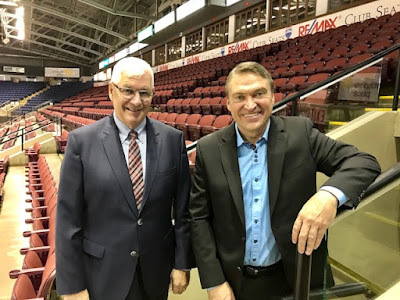 Winning the Memorial Cup in 2004 in front of the hometown crowd was a memory Kelowna Rockets general manager Bruce Hamilton will never forget. The architect of one of the most successful junior hockey franchises in all of Canada wants to do it all over again. The Rockets organization made it official Thursday by throwing their hat into the ring by announcing they will bid for the 2020 Memorial Cup. Hamilton says if league governors grant them the right to host the 10 day tournament, it will be better than it was 16 years ago. "We have more arms to reach out and grab", when speaking of the volunteer base that exists in Kelowna. "We needed to make it bigger and better. We need new ideas. We can't stand by and do the same thing". The organization has enlisted businessman Tom Dyas to chair the bid committee, who will make a presentation before WHL governors in early October. "If there is a community that is going to raise the bar on tournaments of this nature, it would be this community. With its involvement, with its love for the sport of hockey, it is something that will just happen almost naturally." Buffalo Sabres defenceman Josh Gorges was on hand for the announcement. 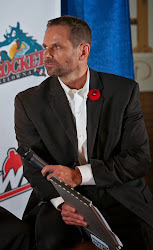 Gorges was the captain of the Rockets when they won junior hockey's ultimate prize. "I am excited about the fact that they have an opportunity to bring the Memorial Cup back to Kelowna. I think it is a great spot for it, and to be honest, I don't think there’s a better spot for it". 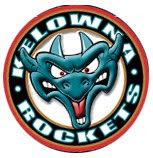 Kelowna will compete for the right to host the 2020 Memorial Cup with Kamloops and likely Victoria, who have yet to formally announce their interest in the marquee event. I've ridden on a junior hockey bus for 23 years. That's over 1,000 times without incident. Heck, current Edmonton Oilers bench boss Todd McLellan attempted to teach me the game of chess without success on a junior hockey bus. I've helped the bus driver put chains on the Kelowna Rockets bus on an icy highway between Spokane and Tri City. I've watched movies, some good yet mostly bad on what can affectionately be called the 'Iron Lung'. Whether it is sharing a laugh or attempting, with little success, to get some shuteye with the use of a body pillow on the floor of the bus, not for a split second have I ever taken for granted the safety while traveling across Western Canada at the United States. I've logged many miles with the likes of McLellan, Brad McEwan, Marc Habscheid, Jeff Truitt, Ryan Huska, Dan Lambert and current Kelowna Rockets head coach Jason Smith just to name a few. Thankfully, every time we arrive at our destination safely we promptly return home without incident. While measured by wins and losses over the course of the hockey season, we are agonizingly reminded again, of how blessed we are at the conclusion of the hockey season that we can say, 'We made it'. Sadly, the Humboldt Broncos and the coaches and players that perished in Friday's incident near Tisdale, Saskatchewan can't utter those same words. I was crushed to hear 15 members of the SJHL team were killed or injured after a semi trailer unit t-boned the team bus at an intersection without adhering to a stop sign. In a split second lives were changed. The hockey world was changed. Not for a hour. Not for a day. Not for a year. The hockey world will be changed forever. Being a father of twin 15 year-old boys, I can not imagine the shear emotional pain the families that lost loved ones are going through right now. It has to be nothing short of devastating to see so many young lives being extinguished in the blink of an eye. The only thing I can remotely draw parallels too was when a teammate of mine, Nix Anderson, lost his life while traveling home from Swift Current to Meadow Lake in the winter of 1992. Nix Anderson and I played in the White Mud Hockey League with the Eastend Jets. We would often pay for gas as Nix, 19, drove with pride his new Chevy Beretta to and from road games. Often driving well over the speed limit in an effort to get us to Eastend or any other road game along the circuit, I often shuttered at the speed in which he drove us and his valued vehicle along the narrow stretch of paved highway. Not once did I say anything about the speed, only to regret later not opening my mouth when Nix was killed behind the wheel of that car when he lost control while heading back home to Meadow Lake during less than ideal road conditions. Attending his funeral shortly after the fatal accident, it left a lasting impression and made me question my own immortality, even though I was 24 at the time and still had the misconception that I was invincible. In the fall of 1986, when the Western Hockey League's Swift Current Broncos re-locating to my hometown from Lethbridge, going to games was a must see event. The players were local heroes in the community of 15 thousand. You knew every player by name and felt the team represented everything good about who you were. They put the city on the map and made you feel a sense of pride every time they beat bigger cities like Regina, Saskatoon, Moose Jaw and Prince Albert. When tragedy struck on December 30th of that year, the entire community was in mourning. Four adopted sons to many, or brothers to others, were lost when the team's bus crashed just outside of Swift Current while traveling for a road game in Regina. In a flash, the lives of Scott Kruger, Trent Kresse, Chris Mantyka and Brent Ruff were snuffed out. Well over 30 year's later, the Swift Current Broncos bus accident remains fresh in my mind. Those players. Those families. That mourning as a community will never leave me. While 13 hundred kilometers away from the bus crash that claimed 15 members of the Saskatchewan Junior Hockey League's Humboldt Broncos Friday night, the impact of that horrible tragedy makes my heart pound yet again. I knew none of the coaches. I did not know any of the players. But that doesn't matter. The lives of the families, friends and those in Humboldt that cheered them on, win or lose, are forever changed. Will we ever truly heal from this recent tragedy? Sadly no. Undoubtedly we will cope, but Swift Current has never forgotten. Those lost on that Humboldt Broncos bus will forever be remembered. 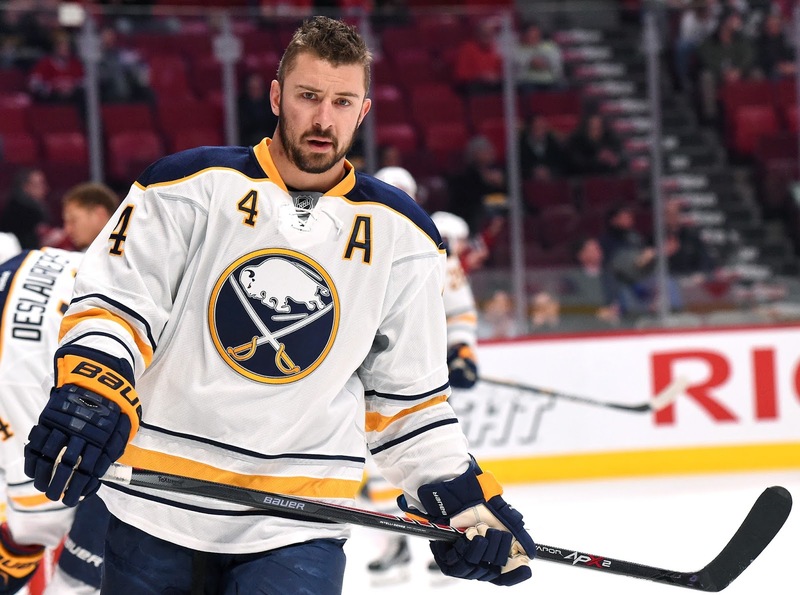 It may be the end of the line for Josh Gorges. The Kelowna minor hockey product has played close to 800 NHL games, but his career may come to an end as the Buffalo Sabres play their final game of the season Saturday night against the Florida Panthers. The 33 year-old Gorges has been a healthy scratch for much of the season, playing in only 33 of 80 games on the league's worst team. When AM 1150 spoke to Gorges this past summer, he knew 'Father Time' wasn't on his side. "The game is getting younger and faster. You watch these kids come in, 18, 19, 20 years old. The way they can play the game. The way they skate. 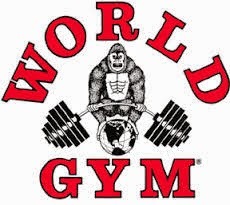 It puts a lot of pressure on us (veterans) to keep working in the off-season to keep pace with these young guys". The greying 13 year veteran will see his contract end with the buzzer sounds Saturday night. "You have to know where you stand. Can I skate with these guys? Probably not foot for foot with alot of them. You have to think the game quicker and get the puck into players hands that can go skate", Gorges added. The Kelowna product hasn't played in more than 6 consecutive games this season after not being a health scratch in 10 seasons playing in San Jose, Montreal and with Buffalo.